Former U.S. officials Ben Bernanke, Tim Geithner and Hank Paulson agree it’s hard to predict the next financial calamity. Defenses, such as a robust economy and strong institutions, would help. But inequality and a diminished civil service will make it harder to soften the blow. Former Federal Reserve Board Chairman Ben Bernanke discusses "10 Years After the Global Financial Crisis" in Washington, U.S., September 12, 2018. 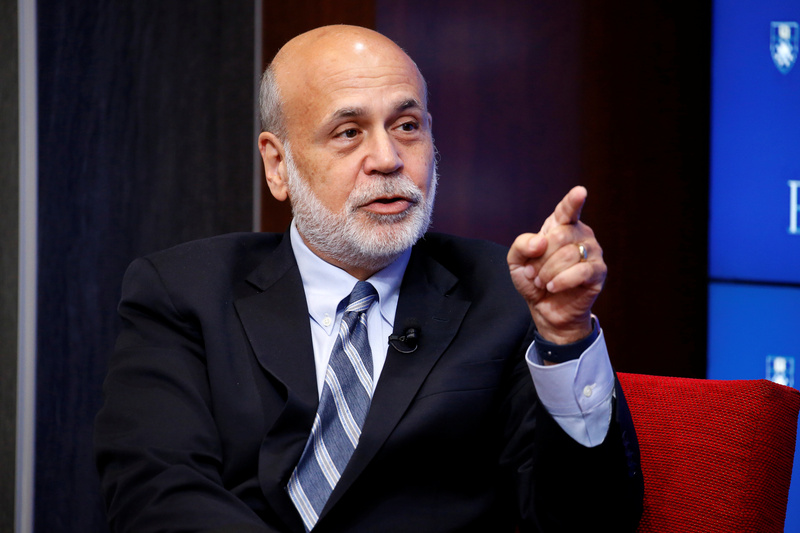 Former Federal Reserve Chairman Ben Bernanke, past New York Federal Reserve President Tim Geithner and former U.S. Treasury Secretary Hank Paulson recalled the 2008 financial crisis and discussed its lessons at a Brookings Institution event on Sept. 12. They all served during the George W. Bush administration. Geithner went on to replace Paulson at the U.S. Treasury in 2009 after the election of President Barack Obama.